Bringing together authors from academia and practice, this bookexamines spatial planning at different places throughout the British Isles. Six illustrative case studies of practice examine which conceptions of space and place have been articulated, presented and visualized through the production of spatial strategies. Ranging from a large conurbation (London) to regional (Yorkshire and Humber) and national levels, the case studies give a rounded and grounded view of the physical results and the theory behind them. While there is widespread support for re-orienting planning towards space and place, there has been little common understanding about what constitutes ‘spatial planning’, and what conceptions of space and place underpin it. 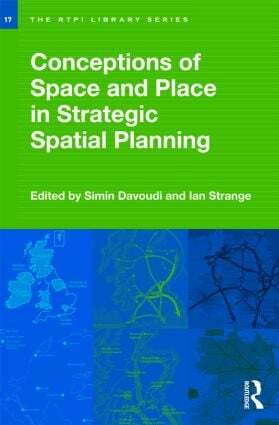 This book addresses these questions and stimulates debate and critical thinking about space and place among academic and professional planners. ASYMMETRIC DEVELOPMENT IN SPATIAL PLANNING: POSITIVIST CONTENT AND POST-MODERNIST PROCESSES?